This is a Largest stove available in the Lopi Line. At only 2.6 grams of emmissions per hour, it is also one of the cleanest out there! 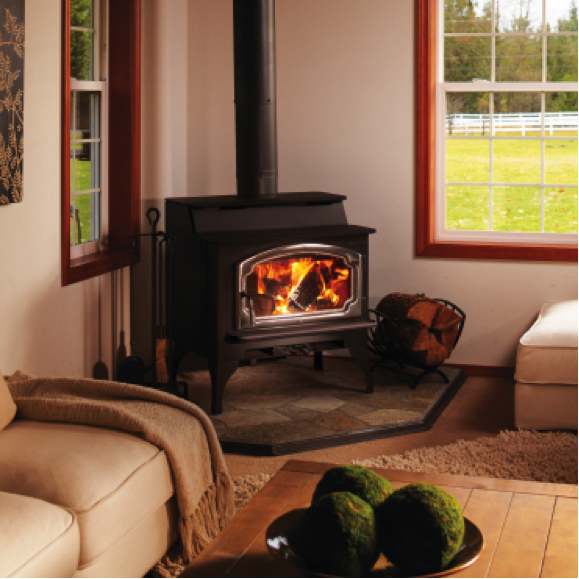 The firebox accepts a log up to 24”. It also features a single control for air time making use easy and has been able to achieve 12 hour burn times. The design of this stove is cook top, it heat radiantly and convectively.